Ankara Directorate of National Education is responsible for the planning, coordination and management of all kinds of educational and training activities for pre-primary, secondary, vocational, technical , SEN schools and adult education in 25 districts of Ankara, which is the capital city of Turkey with a population of nearly 5 million. 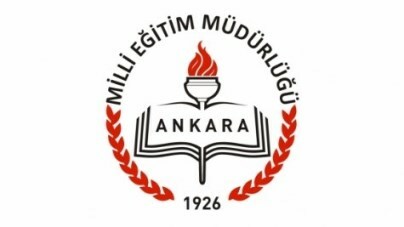 Ankara Directorate of National Education is the second biggest local authority after the Ministry of Education in Turkey. The organization has a range of duties mainly in 7 fields; entitled as management, staff education and training ,budget and investment, research ,planning and statistics, inspection, guidance and research and civil defense. These duties are carried out by 24 affiliated units. The department of Informatics and Educational Technology is responsible for implementing effectively the FATIH PROJECT, Movement of Enhancing Opportunities and Improving Technology (FATIH). Designed to provide every student with the best education, the highest quality educational content and equal opportunities, FATIH Project is the greatest and the most comprehensive educational movement about education technology use in the world. FATIH Project in Education emphasize the importance of assessing students on fields on interest, activities and tendencies but not only students’ success in classes and also analysing the data about students’ school history. The issue in question here is not only creating statistics with the data collected. This project also aims to store any kind of information formed in student’s educational process in a single identity system and create an infrastructure where analysis can be conducted with a data pool.